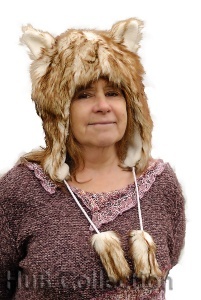 Faux Fur animal hat, Wolf design with ears and tassels. Short hood, very furry and cute. Lined for warmth and comfort. One size, be fashionable and stay warm.